Mark's Tickets is the best place to find tickets for Lynyrd Skynyrd fans. Just check this page for any new events or schedule updates throughout the year. We sell tickets to every Lynyrd Skynyrd concert around the world. We know how passionate Lynyrd Skynyrd fans can be about pop & rock music, so we make sure to have hundreds of tickets for every concert available right up until showtime. For those looking for cheap Lynyrd Skynyrd tickets, we offer tickets starting at very low prices (many times below face value). We offer tickets in most sections of every venue that Lynyrd Skynyrd performs. Simply choose the city or venue that you are interested in below, and you will be able to see all of the available seats. Do not forget that Marks Tickets also specializes in sold out Lynyrd Skynyrd tickets. No longer will sold out shows prevent you from seeing Lynyrd Skynyrd. Lynyrd Skynyrd (pronounced /?l?n?rd ?sk?n?rd/ LEN-?rd-SKIN-?rd) is an American rock band best known for popularizing the southern hard-rock genre during the 1970s. Originally formed in 1964 as the The Noble Five in Jacksonville, Florida, the band rose to worldwide recognition on the basis of its driving live performances and signature tunes "Sweet Home Alabama" and "Free Bird". 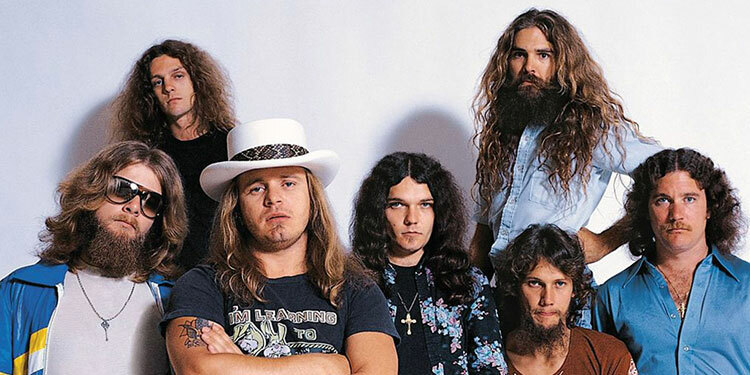 At the peak of their success, three members died in an airplane crash in 1977, putting an abrupt end to the band's most popular incarnation.The surviving band members re-formed in 1987 for a reunion tour with lead vocalist Johnny Van Zant, the younger brother of lead singer and founder Ronnie Van Zant. The re-formed band continues to tour and record with original co-founding member Gary Rossington and core members Johnny Van Zant along with Rickey Medlocke who recorded with the band for a short time in the early 1970s. Long time drummer Michael Cartellone has recorded and toured with the band since 1999. Lynyrd Skynyrd was inducted into the Rock and Roll Hall of Fame on March 13, 2006.